Just how screwed are the fourth-place Dodgers? Everything has gone wrong for the reigning NL champs. Have they played themselves out of the postseason hunt? Things have not gone as planned this year for the Los Angeles Dodgers, to say the least. Half of their lineup is injured, including All-Star Corey Seager, who will miss the season after undergoing Tommy John Surgery. Other key players, including Kenley Jansen and Chris Taylor, have struggled in alarming ways. They currently stand 12-17, fourth in the NL West and nine games back of the division-leading Diamondbacks, and are fresh off watch their bullpen blow a lead to Arizona in a Clayton Kershaw start. How much trouble are the Dodgers in? Can they still win the West? Will they fall out of the playoffs altogether? Will this be a lost year? Joe Lucia: The Dodgers are very screwed. 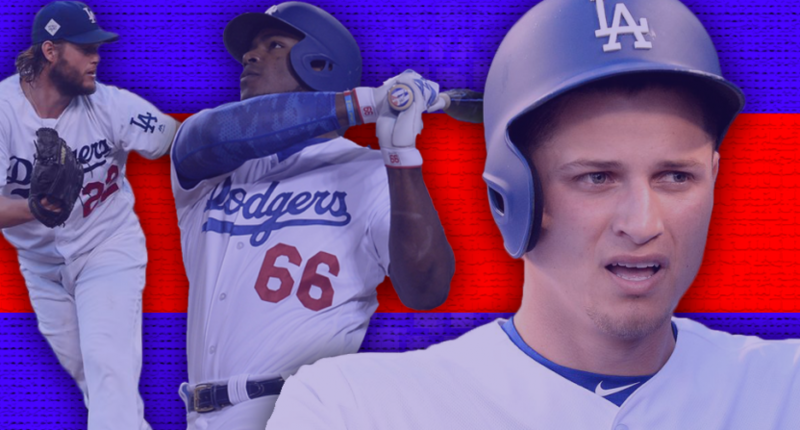 Corey Seager wasn’t off to a great start (at least by his standards), but he was still one of the Dodgers’ most valuable hitters in April and, when looking at the season as a whole, one of their most indispensable players. LA will now need to replace him with a player that is nowhere near his level, When you also figure in that the Dodgers have gotten far more than expected in the early going from Matt Kemp and Chase Utley, and they’re *still* in fourth place in the NL West, there’s a very real possibility that the bottom could completely fall out over the summer without Seager in the lineup. I’m also concerned by the Dodgers’ pitching staff. Their bullpen has been atrocious so far, and while Kenley Jansen won’t be *this* bad the rest of the way, I’m not exactly encouraged by the rest of the pen shutting games down over the final five months of the season. The rotation has largely held up and performed well so far, but Rich Hill is already on the DL and counting on Hyun-Jin Ryu, Alex Wood, and even Clayton Kershaw to go through the entire year injury-free is foolish. Maybe the Dodgers shouldn’t have cared so much about the luxury tax this winter and should have cared more about reinforcing their team. Alex Putterman: I typically try very hard not to overreact to an individual player’s injury or to a good team’s slow start. But combine a very bad injury with a very slow start, and sprinkle in other significant ailments, plus the strong play of rival squads and… well, it doesn’t feel like overreacting anymore. Still, I’m not ready to give up on the Dodgers. It’s safe to say they’re no longer NL West favorites, but a team that was widely projected to win 95 or more games can withstand the loss of even an elite player without falling apart. Assuming the Diamondbacks don’t keep playing at a 117-win pace (which they won’t), Los Angeles could still creep back into the race — especially if they trade for Manny Machado or another All-Star. And even if a sixth straight division title would require quite a climb, the Dodgers have a strong chance to contend for a wild-card berth. As awful as they have been, they’re currently five games out of a playoff spot with a 133 games to go. It would be foolish to write them off entirely. If Justin Turner comes back at full strength, Kenley Jansen turns his season around and the pitching staff stays somewhat healthy, this team will be fine — not great, but fine. Ian Casselberry: It feels reactionary to say this after one month. (Someday, we’ll have to decide what the cutoff for “it’s early” is.) But I think the Dodgers are in big trouble. Corey Seager is done for the year. Justin Turner is out for who knows how long (maybe he can start a rehab assignment next week), and wrist injuries can be difficult for hitters to come back from. The starting rotation has been inconsistent and lacks depth. Kenley Jansen has been anything but lights-out as a closer, and the bullpen hasn’t been very good behind him. Then you look at the standings. The Dodgers are nine games back in the NL West after Tuesday’s loss to the Diamondbacks. Fourth place in the division. Even if there are five months remaining in the regular season, that’s already a considerable hole from which to climb out. The presumption is that the Dodgers can overtake the Giants and Rockies, but Arizona is looking like a solid leader right now. It may already be too late to catch the D-Backs, with the way they’re playing. But assuming that most of the injured players will return and the front office makes a deal that provides a boost (Manny Machado would obviously make a huge impact), the Dodgers are still in the hunt for a wild-card bid. But even that lane could be more crowded than anticipated with the Phillies and Braves improved, the Mets playing well, and the Brewers and Cardinals looking better too. That is a lot of teams to crawl over. Matt Clapp: For their NL West title hopes, they can’t lose this series to the Diamondbacks. Lose three of four and they’re nine games back. Get swept, and they’re 11 games back. Even if they get things turned around, that’s a crap-ton of ground to make up on what looks to be a legitimately good Arizona team. I’d still bet right now that they’re a playoff team, but they have a lot of issues and the Corey Seager loss is such a massive blow. We don’t know when Justin Turner will be back, and we don’t know if he’ll be the same awesome hitter after a wrist injury. Kenley Jansen hasn’t been the elite closer that he usually is. Yasiel Puig, Logan Forsythe, and Rich Hill are on the disabled list. Chris Taylor doesn’t look very good after being a shocking 4.8 WAR player last year. It goes on and on like this. And the Manny Machado trade idea keeps being brought up, but that seems unlikely. For one, it would be difficult to make that work to stay under the luxury tax threshold, something the Dodgers want to do to be able to re-sign Clayton Kershaw and/or make a run at Bryce Harper in the offseason (with Seager and Turner in place, I doubt the Dodgers would sign Machado). But going all-in to rent a player and give up premium prospects just doesn’t seem like an Andrew Friedman thing to do. Additionally, that idea makes much less sense if they were to lose this Diamondbacks series. and fall nine+ games back. It’s not worth it to give up what it takes to rent Machado just to get to a coin-flip, one-game playoff. So, it’s easy to see how this could keep going south and end up being a lost season, but at the moment, I’d pick them to be one of the two wild-card teams.